Tension flared up in Qaryut village, east of Nablus city, on Saturday morning after the Israeli occupation forces (IOF) prevented the construction of an agricultural road. 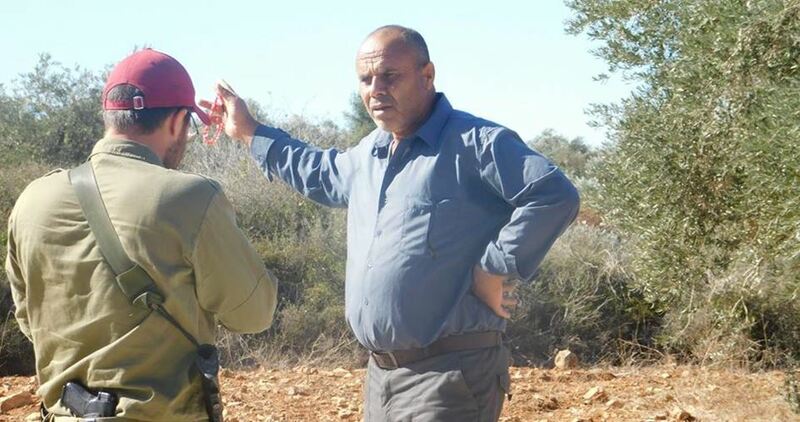 Anti-settlement activist Bashar al-Qaryuti said that the IOF stopped Palestinian citizens working in the construction of a new agricultural road, held them at gunpoint, and ordered them to leave the area. Al-Qaryuti said that the workers refused to obey the ordered, while dozens of Palestinian families rushed to the area to support them. He added that the IOF soldiers have repeatedly attacked Palestinian workers and prevented construction works in the village, which is located in Area B, which is, based on the Oslo Accords, exclusively administered by the Palestinian Authority. The Palestinian activist explained that Qaryut’s village council has recently started to build new agricultural roads in Bteisha area which includes large areas of land planted with olive trees. He noted that the village is surrounded by three Israeli settlements and four outposts built illegally on Palestinian-owned lands.